Peel and thickly slice the potatoes into about 1½-cm slices. Boil them in salted water for 6 to 8 minutes until just tender, then drain and set aside. Heat the oil in a large frying pan. Fry the onion over medium heat for 5 minutes until it becomes transparent. Add the bacon to the pan and carry on frying for 5 to 7 minutes, stirring occasionally until the onion turns lightly golden. With a slotted spoon, remove the onion and bacon from the pan to a bowl, leaving as much fat in the pan as possible. Add the potatoes to the pan and brown briefly in the fat. If your potatoes are on the floury side they may break up or stick a bit, but it is not a problem; just keep everything moving to avoid burnt bits. Return the onion and the bacon to the pan and lightly mix everything together. Nestle the cubes of cheese among the potatoes and bacon, then drizzle with the cream. Evenly scatter over the breadcrumbs. Protect the pan handle with foil if necessary, and grill for 5 minutes until lightly browned and just on the point of bubbling. Dish up with a wide spatula. 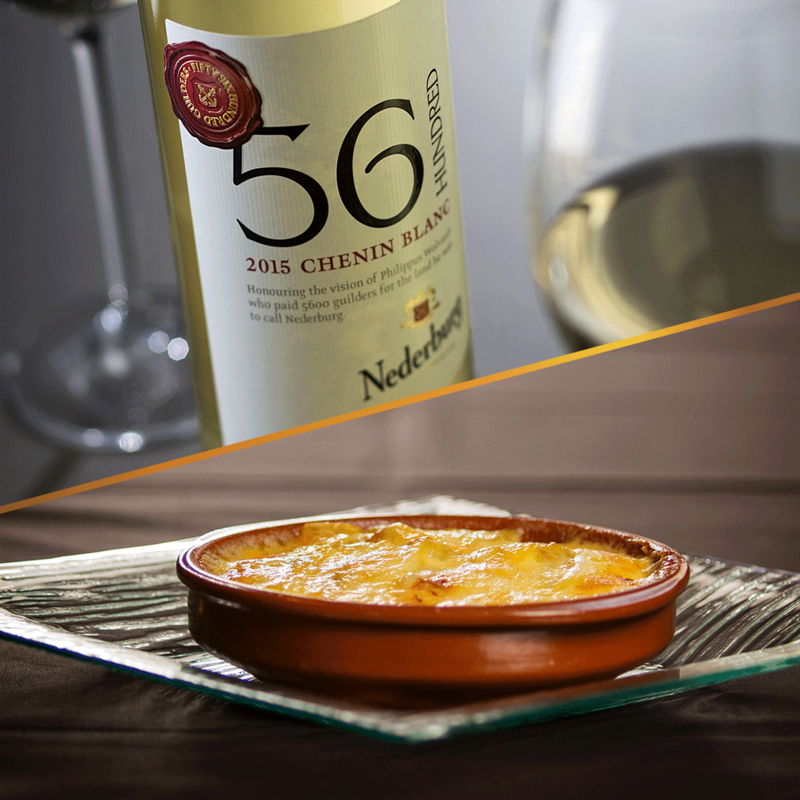 This is a filling dish which needs only a crisp green salad and some wine. 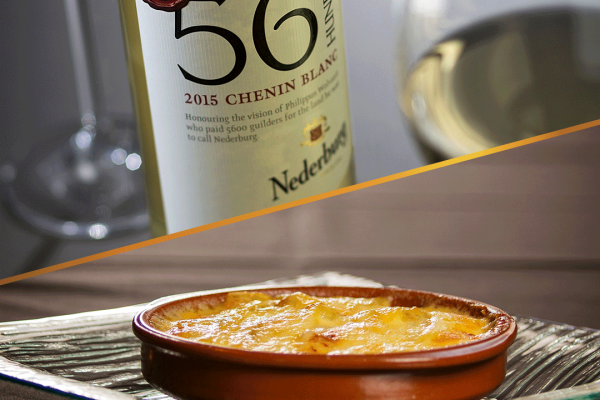 Serve it with a glass of Chenin Blanc from the Nederburg 56 Hundred range.